Planning a field day, lock down event, carnival, end of year party, Homecoming, Prom, Spirit Days or a Graduation party? We can help make your event a huge success! Inflatable Event Professionals would like to make it easier with our selection of well-maintained inflatable bounce houses, games and concessions. In addition to our popular bounce houses, we also offer inflatables games like the Wrecking Ball, Galaxy of Games, Hula Hoop Ring Toss, Birdie Ball, Hoops and Soccer and equipment rentals. We’ll help you meet your budget and select the appropriate equipment. Paid attendants / monitors can be provided for your event for an additional fee, call us for more information. Inflatable Event Professionals inflatable bounce house have passed the Washington State inspection and copies of our inspection permits are on our website. We are fully insured, and proof of insurance is readily available. 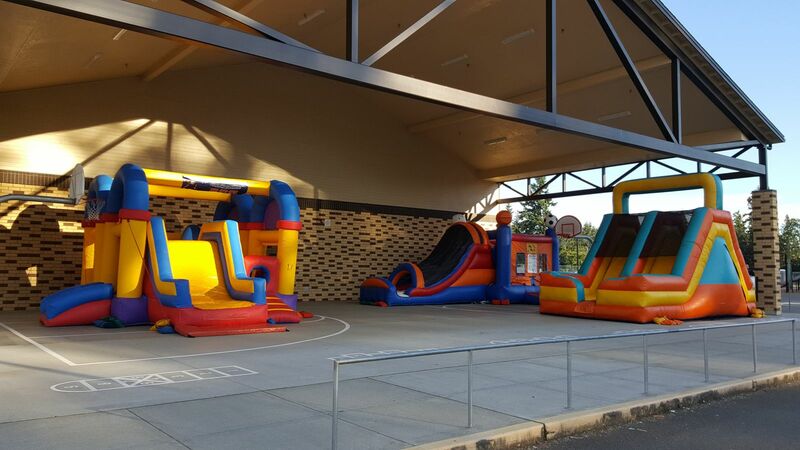 We currently work with several school districts in Tacoma and the surrounding areas and can assist you in getting approval for your event from your district office risk manager. Call or Book Online today to get your event started!